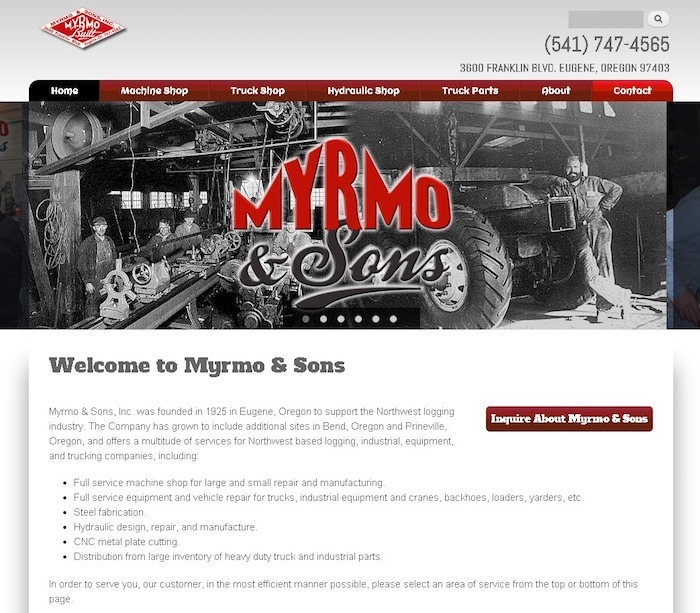 Myrmo & Sons, Inc. was founded in 1925 in Oregon to support the Northwest logging industry. The Company has grown to include additional sites in Bend, Oregon and Prineville, and offers a multitude of services for Northwest based logging, industrial, equipment, and trucking companies. They contacted Bravo Web to design, build, and host a website that reflects their experience and professionalism. Their website features a content management system and is designed to capture leads with several call to actions for each service area. Leads are emailed to Myrmo and any number of recipients they designate.